Since imperative training began in 2003 we have achieved many fantastic awards such as Great Place to Work 2014, the Cardiac Smart Gold Award and Investors in People Bronze Award. But perhaps our most notable achievement is being recognised as a diamond approved centre by training organisation TQUK, the highest level of accreditation that we could achieve. So now that you’ve discovered more about us, why not continue reading to find out the benefits of Fire Safety training? After completing a course in fire safety, your team will have a vast knowledge of measures to put into place to remove hazards and prevent fires. They will also uncover the roles and responsibilities of fire marshals, in order to formulate a plan of action, making sure that all members of staff are evacuated in a swift and orderly fashion. Fires spread quickly, so knowing exactly what to do will make a huge difference. Individuals with knowledge of fire safety will be able to prevent further damage to your premises and ensure that your employees are protected. 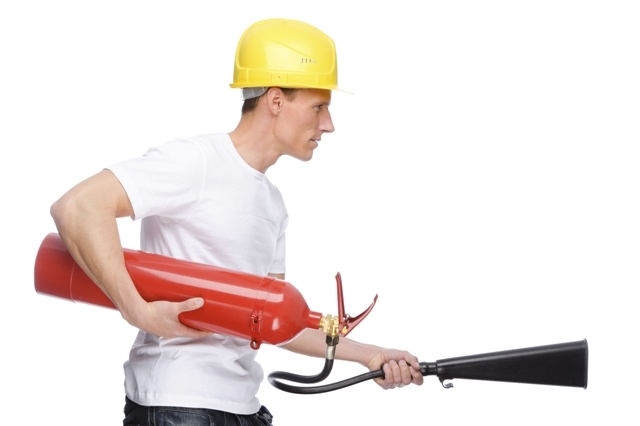 Safety first - learners will discover the appropriate fire extinguisher to use for fires created by different sources, such as chemical or electrical fires. Learners will be able to carry out a risk assessment and put preventative measures in place to reduce the risk of a fire.